More than 3 million Pennsylvania residents rely on drilled wells, hand-dug wells, cisterns, and even roadside springs for drinking water. Pennsylvania is one of the few states in the country without statewide regulations governing private well location, testing, and treatment. Water pollutants in water that can affect health often show no signs of taste, color, or odor. Your drinking water begins as rain or snow and ends at the tap in your home. 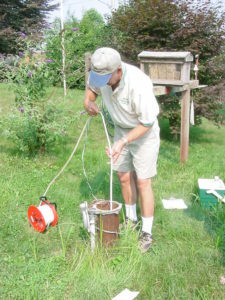 With about 20,000 new wells being drilled each year and rapidly changing land use, information on proper maintenance of private water supplies becomes a necessary part of a homeowner’s education. Private water systems should be tested annually for total coliform bacteria. Independent water testing by a certified laboratory can help homeowners avoid purchasing unnecessary water treatment equipment.